Total and unqualified submission to the will of Allah is the fundamental tenet of Islam: Islamic law is therefore the expression of Allah’s command for Muslim society and, in application, constitutes a system of duties that are incumbent upon a Muslim by virtue of his religious belief. Known as the Shari’a (literally, “the path leading to the watering place”), the law constitutes a divinely ordained path of conduct that guides the Muslim toward a practical expression of his religious conviction in this world and the goal of divine favour in the world to come. Muslim Family Law (MFL), which includes all matters of inheritance for Muslims, is an integral part of a rich, complex and highly sophisticated system of Islamic jurisprudence (commonly known as Shari’a) that can be traced back to the 8th and 9th centuries C.E.Sharia is the fundamental religious concept of Islam. Significant theological and jurisprudential differences existed from the very beginning not only between Sunni and Shi’a Muslim jurists, but also among the different schools of thought of each tradition, and indeed within the same school of thought (Madhahib, sing. Madhhab). The early jurists not only accepted serious disagreement and difference of opinion, but in fact expressly described them as a sign of the grace of God. It is true that those jurists probably assumed that there ought to be one valid interpretation of Qur’an and Sunna (traditions of the Prophet) leading to the formulation of body of Shari’a principles. In this light, the notion of an immutable body of principles of Shari’a as universally binding on all Muslims for eternity was utterly inconceivable to the early jurists, notwithstanding subsequent claims that such a body of principles exists. This appreciation of traditional Shari’a as a historically conditioned interpretation and understanding of Islam is crucial for the possibilities of alternative modern formulations of MFL that would be fully consistent with modern international standards of human rights and the rights of women in particular. Since that formative stage, Islam gradually spread throughout the world, with different schools and jurists alternating in influence among Islamic communities. For example, the Shafi’i School might displace the MalikiSchool in one region, and be displaced by it or by the HanafiSchool in another. The fact that the same school prevails in several communities does not mean that they all follow the same specific lines of juridical thinking within that school. Significant variations in the theory and practice of MFL due to such variables as differences among Islamic countries and communities in terms of cultural patterns, sociological trends, demographic factors, economic development and political stability. Generally speaking, MFL is applied today in almost all predominately Islamic countries. Even where MFL is not enforced by official state courts, its principles are informally observed by Muslims as a matter of religious obligation and vital concern. Whether formally or informally, MFL governs matters of marriage, matrimonial relations and maintenance, divorce, paternity and custody of children, inheritance and related matters for more than a billion Muslims throughout the world. In this sense, one can say that the broad principles of MFL, and their basic assumptions and rationale, constitute the most widely applied system of family law in the world today. But that does not mean, however, that the same MFL principles apply everywhere. As already noted, there are significant differences among the various schools of Islamic jurisprudence which prevail in different Islamic countries. Besides the obvious differences between Sunni and Shi’a communities which sometimes co­exist within the same country, different schools and opinions may be followed the Muslim public within the same country . Moreover, judicial practice may not necessarily be in accordance with the school observed by the majority of the Muslim population in the country. Moreover, a variety of social conditions or customary practices sometimes have the effect of reforming the consequences of strictly legal enforcement of MFL in different countries and communities. For example, there are indications that distribution of shares in inheritance, especially for women, is sometimes indefinitely postponed to avoid fragmentation of the estate of the deceased, while by Shari’a principles an informal arrangement for sharing benefits is supposed to achieve similar results. Some of these practical modifications or adaptations of MFL may in fact be more beneficial or detrimental to women and children than strict application of the law. But the problem is that the current state of knowledge in the field does not permit well-informed verification of such claims. Moreover, it seems clear that ignorance, misunderstanding, bias, ulterior motives or wider political agendas by all sides are obstructing positive reform initiatives in many Islamic societies. At present MFL has become the contested ground between conservative and fundamentalist groups, on the one hand, and modernist and liberal groups, on the other. The objective of the research is to verify, understand and document the precise scope and nature of the application of MFL in a sample cross-section of Islamic countries and communities around the world. It is also to promote positive and sustainable Muslim Family Law reform in different parts of the world. In particular, the research seeks to explore possibilities of generating internal theological, legal as well as political support for Muslim Family Law (MFL) reforms. It is from this perspective to expect that certain aspects of MFL have not kept pace with the development of the societies they are supposed to serve. Moreover, the object is not simply to identify such problems or criticize aspects of the theory and practice of MFL from the point of view of the human rights of women and children. Rather, the declared and explicit objective of this research is actual engagement in theological, legal and political debates about what MFL reforms have made and how it is practicing. The research is based on library research, books, publications, journals, concerned scholars, policy makers, and social justice groups and women’s and human rights activists. Islam’s contributions to this subject are a living tribute to the strength of the Faith to protect and enhance the status of the Family as the crucial nucleus of our civilization’s civic life. The Quran contains many direct commands for the purpose of keeping the Family in tact. Such mandates apply regardless of geography or ethnic specificity as such instructions are binding on everyone.This research is to produce a concise, brief document that indicates best practices and reforms in the application and implementation of family law in Muslim countries. Thereby, the positive developments that are occurring in the Muslim world’s legislative and judicial practice better known and available to other states and practitioners that are grappling with the same issues. This document is not meant to be either prescriptive or an exhaustive record of all family law in all Muslim countries. The literature reviewed the laws and family codes of Algeria, Egypt, Indonesia, Iran, Jordan, Lebanon, Malaysia, Morocco, Syria, Tunisia, and Turkey. Referenced statistics and comparable data often extend beyond these countries; we have indicated the scope of those statistics when used, indicating whether comparisons are with the entire Middle East and North Africa (MENA) region, the Arab World, or countries with Muslim majority populations more broadly. The RAND Corporation and the WoodrowWilsonInternationalCenter for Scholars began collaboration on this project in March 2005 under the joint leadership of Haleh Esfandiari, Director of the Middle East Program at the WilsonCenter, and Cheryl Benard, Senior Political Analyst and Director of the Initiative for Middle Eastern Youth at the RAND Corporation. A team of researchers compared the constitutions and family law codes of the 12 Muslim countries listed above on topics ranging from issues of marriage and divorce to legal rights and violence against women. Research included a review not only of written laws but also of their application, with reference to secondary literature on the topic. For Muslims, the institution of marriage is regarded as extremely important. Muslims marriages are contracts of a relatively simple nature which only requires offer and acceptance in front of two witnesses. Apart from socio cultural practices. Muslim marriages require little ceremony or ritual to give the marriage legality. In effect it is a civil contract with religious overtones. The Holy Prophet said: “Men marry for their property, status or their beauty: but you should marry for their piety (Ibadat). Thus, marriage partakes the nature of Ibadat (worship) and muamalat (worldly affairs). In substance a Muslim marriage is a contract but a sanctified religious contract. Hence Muslim jurists regard Nikah to be both temporal and religious at the same time. It is not purely a civil contract or a sacrament but a religious, solemn and sacred covenant for life. The Quran does not define the minimum marriage age precisely, merely mentioning puberty as the permissible minimum. This has led to considerable divergence of legislative views on the proper minimum marriage age, particularly in the last century. Minimum marriage age continues to vary among Muslim countries (see table 1). The most advanced countries have established equity of marriage age for men and women (as in the countries in bold in the table).Minimum marriage age laws must be enforceable and consent must be required. a. Religious or civil courts may make exceptions to allow minors to marry. b. The royal decree rising the minimum marriage age to 18 has not yet been written into law. c. Exceptions exist for religious minorities. d. Law unenforceable (minors can be penalized, but underage marriages remain legally valid). Note: Countries listed in bold have age requirement parity for men and women. There is no need for registration in a Muslim marriage as it is not obligatory in the Quran or in the Sunnah. On the other hand there is no prohibited sanction against registration of marriage. Thus registration is not a requisite of a valid marriage but provides a legal restriction for various kinds of protection, including prevention of denial of the marriage. Marriage registration continues to vary among Muslim countries. Tunisia: obligatory under Civil Status Act 1957, only formal document shall prove existence of marriage; unregistered marriage deemed void with three effects: establishment of paternity; immediate onset of idda from date of voidance declaration; and creation of prohibited degree on basis of affinity. Senegal: obligatory; if marriage contracted under one of customary legal regimes recognized in Senegalese law, parties must inform officer of civil status one month prior to marriage; non-registration is punishable by fine but does not determine validity. Islamic countries are addressing the issue of polygamy in different ways. One group of countries, including Tunisia, Turkey, and in part Lebanon, simply bans the practice outright. A second group restricts the practice, applying conditions that, in some cases, are quite rigorous to deter a frivolous exercise of multiple marriages. a) The prior wife or wives must be informed of the man’s intention to marry an additional wife. b) The prior wife or wives must consent. c) The husband must prove the polygamous marriage to be “just and necessary” (clearly mentioned grounds for this include a wife who is sterile, physically unfit for conjugal relations, insane, or physically infirm or a wife who refuses sexual relations). d) The husband must give assurance that the new marriage will not affect the lives of previous wives and their children. 2. The condition that a second or subsequent marriage be “just and necessary” could be a potent tool for regulation, but its ambiguity is cause for concern because it could also be used to justify polygamy on the slightest grounds. In some cases, for example, authorities may accept the wife’s “failure” to produce a male heir as sufficient grounds for granting permission for polygamy (Bangladesh, Pakistan). To counter this, courts in Singapore encourage adoption in such cases, rather than a second marriage. 3. According to the laws of the countries that restrict the practice of polygamy, wives in a polygamous marriage have to be treated equitably, and this includes provision for separate living arrangements if there has been such an agreement during the marriage. In the event of a violation of these procedures, the wife or wives can take the husband to court. Polygamy rule is to vary among Muslim countries. Tunisia: A Personal Status Code was adopted in Tunisia shortly after independence in 1956, which other laws, prohibits polygamy.3 Under Article 18 of the Personal Status Code, any man who contracts a polygamous marriage is punishable with one year of imprisonment, a fine of 240,000 Tunisian francs, or both. Turkey: In 2001, Turkey completed a sweeping overhaul of its Civil Code, with one outcome being a ban on polygamy. Algeria Allows up to four wives; current wives may sue for divorce if not informed. Egypt Allows up to four wives; must inform prior wives, who may divorce if they can prove harm from additional marriage. Indonesia Basis of marriage is considered monogamy, but Marriage Law does not prohibit polygamy for those whose religions allow it. Lebanon recognizes 19 different groups that are each accorded their own religious law. The Druze sect prohibits polygamy. Activists tried to outlaw polygamy for all sects in 1998. Entering a polygamous marriage requires the permission of a Shariah court. Husband must justify in writing why the marriage is necessary and just. Failure to follow required procedures is liable to 6 months’ imprisonment and a fine. Morocco Allows up to four wives, subject to judicial approval women may prohibit polygamy in marriage contract; all parties must be informed; prior wife may apply for divorce. Lebanon:4 In Lebanon, according to the 1948 Law Pertaining to Personal Status for the Druze Sect (Article 10), polygamy is prohibited. Article 9 of the 1998 Civil Marriage Law, proposed by activists but not yet passed, would outlaw polygyny. Malaysia: Contracting a polygamous marriage requires the permission of a Shariah court. A husband must justify in writing why the additional marriage is necessary and just and must convince the court that he can treat all wives equally. Failure to follow required procedures is liable to 6 months’ imprisonment and a fine. Indonesia: Under a 1990 policy, polygamy is permitted only through an application to the court and requires approval of the prior wife or wives, a necessity for the marriage (current wife suffers from an incurable disease or is infertile, etc. 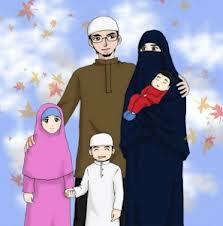 ), and a guarantee that husband will treat all wives and children justly. Iraq: Only permitted by judicial permission, to be granted on two conditions: financial ability and lawful benefit; permission not to be granted if judge fears unequal treatment of co-wives; ILPS provides penalties of imprisonment and/or fines for non-compliance. Morocco: Only permitted by judicial permission, to be granted on two conditions: financial ability and lawful benefit; permission not to be granted if judge fears unequal treatment of co-wives; ILPS provides penalties of imprisonment and/or fines for non-compliance. A widespread problem in many Muslim countries, especially in those marked by poverty, feudal structures, and/or large gaps in the status of social groups, is the conveying or selling of young women for economic gain or under political and other pressures. There is no unified position within the Islamic world on the legal role of parents or a guardian (wali) in contracting or agreeing to a marriage or on the rights of women to determine their own spouses, either within civil legal jurisprudence or under the shari’a law. However, there is also no Islamic justification for forcing any woman to marry against her will or for preventing a mature woman from marrying as she chooses. Nonetheless, the actual practice throughout the Muslim world often excludes women from having any voice in the choice of their marriage partners, even though—given the enormous power Muslim society generally grants to husbands and their families—that decision will be of monumental importance to their prospects of happiness. Minimum consent of marriage of the guardian and women continues to vary among Muslim countries. Turkey: The right of women to choose their own spouses needs to be secured such as this is regarded as a natural extension of the shari’a. Tunisia: women who have reached the age of civil consent (20) must consent to their own marriages. Algeria: Forced marriage is not permitted, but perpetrators face no penalties. Many young women face family and community pressures to marry against their will and have no or only limited channels through which to voice dissent. Social support networks that might aid the woman in such cases, as well as the backing of an accessible formal or informal justice system, are generally lacking. aProcedure for judicial recourse exists under some conditions. bShi’a walis retain right of ijbar. dIn two states, Kelantan and Kedah, ijbar is recognized. Iran: Here talaq is recognized, the husband can divorce his wife without citing any reasons. However, divorce is permissible only through the courts and any independent pronouncement of talaq made on the part of the husband is considered immaterial before the court of law. Moreover, the registrar can only register a divorce after permission has been issued from a court and after any mahr, maintenance, and/or wages for housework have been paid to the wife. The law is interpreted to mean that no court can prevent a man from divorcing his wife; however, all her financial rights must be settled prior to the separation. Tunisia. Under Article 31 of the Personal Status Code, divorce by mutual consent (or Mubarat) is recognized. Divorce is possible only through the court and only after the judge has made reconciliation efforts. Article 31 also establishes equal grounds for husband and wife, including “at the will of the husband or at the request of the wife”. Egypt: In 2000, Egypt enacted a law that allowed women the right to obtain a divorce from their husbands on the grounds of incompatibility. The divorce is granted on the wife’s return of her mahr. Prior to the new law, a husband could file for divorce without even informing his wife, while the wife needed conclusive proof and independent corroboration of physical abuse by the husband. Syria: Syrian law of Personal Statute (1953) put the husband’s motive for divorcing his wife under judicial scrutiny by financially punishing arbitrary use of talaq.13 The Syrian Law of Personal Statute provides that, when a husband divorces his wife without adequate cause, he must pay her financial compensation to the equivalent of one year’s maintenance. Algeria Talaq is not recognized. Divorce by mutual consent is allowed. The wife can apply for divorce on specific grounds. A reconciliation attempt is mandatory. All divorces must go through the court. The grounds do not distinguish between husband and wife. Iran Talaq requires two witnesses. The wife may seek a divorce for specified reasons. Lebanon The wife may apply for divorce on many grounds, including discord. A reconciliation attempt is mandatory. Religious minorities may follow different rules. Morocco Talaq must be issued in court. Divorce by mutual consent is allowed. The wife may apply for divorce on specified grounds. Tunisia Either spouse may divorce at prerogative or injury. Talaq is not recognized. A reconciliation attempt is mandatory. Under Muslim law a man must maintain his wife and children. The husband is under a duty to maintain his divorced wife during the period of iddat. Maintenance continues to vary among the Muslim countries. Iraq: Post-Divorce Maintenance/Financial Arrangements: husband obliged to maintain divorce (even if nashiza) during iddat; 1983 legislation provides that repudiated wife has right to continue residing in marital home without husband for three years, so long as she was not disobedient, did not agree to or request divorce, and does not own house or flat of her own. Morocco :Post-Divorce Maintenance/Financial Arrangements: husband obliged to maintain divorce (even if nashiza) during iddat; 1983 legislation provides that repudiated wife has right to continue residing in marital home without husband for three years, so long as she was not disobedient, did not agree to or request divorce, and does not own house or flat of her own . Tunisia: Post-Divorce Maintenance/Financial Arrangements: husband obliged to provide maintenance during iddat or, if there is an infant, until the child is weaned; if divorce was husband’s will, judge may determine what financial compensation is due to wife (or vice versa if divorce was at request of wife). Senegal: Post-Divorce Maintenance/Financial Arrangements: in case husband sought divorce on grounds of incompatibility or incurable illness of wife, obligation to maintain is transformed to obligation to pay alimony; in case divorce is judged to be exclusive fault of one party, judge may grant other party compensation. Muslim countries often restrict the rights of mothers to raise or even to have the right to visit their own children in the event of a divorce. Instead, these countries cite a “natural right” of fathers to have guardianship over their children; custody defaults to the father after a child reaches particular (often very young) age. Paternal grandfathers or other male relatives of the father have preference in the event of his death, irrespective of the wishes or needs of the child. Loss of their children is a powerful threat, keeping women in otherwise unendurable marriages. a Refuses or restricts custody to non-Muslims. b Women lose custody on remarriage. c Court may extend to age in parentheses. d Court has power to overrule. e Longer maintenance for talaq. Turkey: The issues of the guardianship, custody, and maintenance of children are best addressed through laws that look to the best interests of the child and that assign equivalent responsibilities to both parents following a separation. Other Islamic countries, such as Egypt, Lebanon apply the same sort of formulaic model. Some countries, such as Algeria and Iran, render it yet more unfavorable to the mother by having custody revert to the father if the mother remarries. In some cases, even if the father is not deemed suitable for guardianship and custody, family members of the father are given priority over the mother and her relatives. The Law of Inheritance consists of two distinct elements: one is the principles of Pre-Islamic Law and the rules lay down by the Holy Quran and the percepts of the Prophet. According to Tyabji the Holy Quran is an amending act rather than an exhaustive code which made reform upon the ancient tribal law. Iraq: Introduction of obligatory bequest to grandchildren by predeceased sons or daughters as well as complete freedom of testator to make will within limits of bequeathal one-third of estate; 1963 legislation allowed female descendants of deceased to completely exclude collateral male agnates; 1963 amendments also adopt Shii system of classifying heirs for inheritance, though Sunni principles still govern division of estates among heirs. Tunisia: Book 9 of TLPS on succession introduced obligatory bequests in favor of orphaned grandchildren through sons or daughters, limited to first generation of grandchildren and to maximum of one-third of estate; introduced and extended doctrine of radd (return) to allow surviving spouse to share in residue of deceased partners estate; also provision that if deceased has only surviving daughters, estate shall go to children and not to paternal uncles. Senegal: Governed by classical law as outlined in Section III on Muslim succession in Book VII of Family Code; includes provision for only granddaughters through predeceased sons not standing to inherit as residuary heirs from anyone else to receive one-sixth of estate. Throughout the history of Islamic faith, it has been a deeply cherished objective to emphasize on enveloping the entirety of a person’s life with its normative structure of rules of conduct and precepts. Amongst the major norms of such expected behavior are those that are devised to apply to the institution of the Family. Islam has also a considerable amount of substantive rules that govern the matter of human rights. The thrust of Islamic jurisprudence and Shari ‘a seems to clearly accommodate the basic necessary rules that create for the flourishing of the Family. The evolution of these norms and concepts in the international legal field has been such that, in respect of crucial details, there is a visible tendency to have the rights of the Family give up some of its historical and inherent hierarchal position and status in the society to specific and newly developed “rules” in the broader field of human rights. The problem that we are thus faced with is simple. Some of the Muslim Family Law reforms that are currently advocated by a sizeable segment of liberal based ideologues are such that the aim to denude the very foundations of the institution of the family as to adversely affect its well-being and character. These are a few prominent areas within the Muslim Family laws requiring attention of scholars, experts, religious leaders and governments for undertaking “reforms”. The “reform” movement that is needed has to be well coordinated and of course led by profound scholarship. Anything less than quality would be self defeating. So this reform movement has to be undertaken with lot of planning, and a determined yet sincere effort to have the kind of imagination that achieves dynamic advances without creating the expected opposition from adversary ideologies. This research is therefore integral to understanding the actual practice of MFL with a view to implementing effective reforms. Only detailed and systematic study of how MFL affects the daily lives and social relationships of actual men, women and children, of how people adjust to and cope with the consequences of the application of the law will give the insights which is need for devising and implementing reform initiatives. Such studies are also testing the relevance and efficacy of reform initiatives already attempted in different parts of the world. fiqh—Islamic jurisprudence and legal rulings. Fiqh typically refers to the legal rulings of the four madhahib. hadith—the “traditions,” parables from the life of the prophet Muhammad, indicating what he said, did, and approved of in others around him. Along with the Qur’an, the hadith form the main basis for Islamic law. ’idda—a waiting period after a woman divorces, usually about three months (but longer if she is pregnant). ijbar—forced marriage, arranged by the bride’s wali. khul’—a means by which a woman may obtain a divorce through payments to her husband (usually repayment of some or all of her mahr). madhhab (pl. madhahib)– schools of thought on Islamic law. There are four madhahib in Sunni Islam: Hanafi, Maliki, Shafi’i, and Hanbali. Shi’a religious law is sometimes referred to as a fifth madhhab, Ja’fari. mahr—the dowry paid by a groom to his bride at the time of marriage. mata’a—compensation paid by the husband to the wife after talaq or if fault for the divorce lies with the husband. moudawwana—the Moroccan code of family law. shari’a—canonical Islamic law drawn from the Qur’an and the hadith. talaq—repudiation of marriage (Islamic divorce). Talaq can mean divorce in any form. A particular Islamic divorce, called triple talaq, whereby a husband proclaims “talaq” to his wife three times to divorce her, is particularly controversial. If a husband delegates his right to talaq, to his wife or to a third party, this is called talaq tafwid. The delegation can occur at the time of marriage or in a subsequent agreement. ta’liq—conditional divorce, with the conditions usually set at the time of marriage. wali—legal guardian. The wali must be male and is typically the father (or the grandfather if the father is deceased); however, the wali may be any male relative.